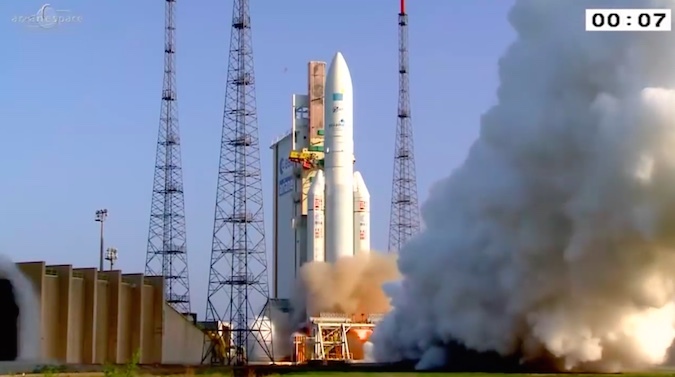 The nearly 180-foot-tall (55-meter) launcher will blast off from Kourou, French Guiana, at 2059 GMT (4:59 p.m. EDT; 5:59 p.m. French Guiana time) with the Hellas-Sat 3/Inmarsat S EAN and GSAT 17 communications satellites. 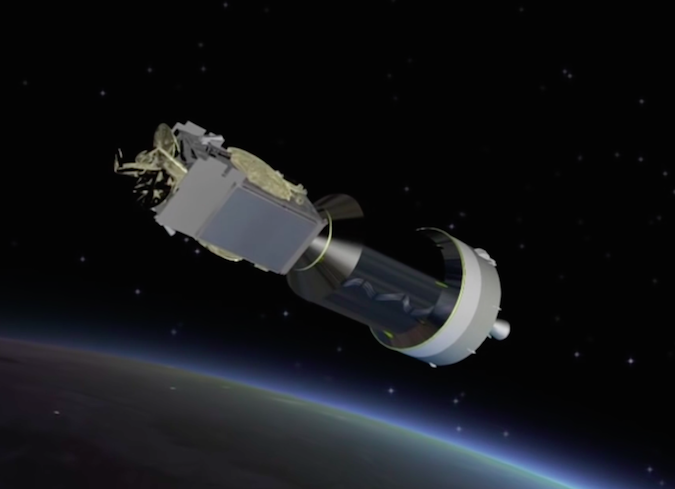 Made in France by Thales Alenia Space and in India by the Indian Space Research Organization, respectively, Hellas-Sat 3/Inmarsat S EAN and GSAT 17 will ride aboard the Ariane 5 in a dual-payload stack. 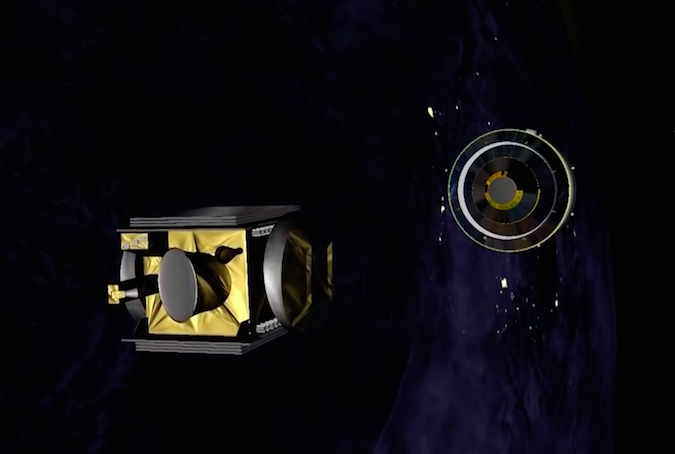 The larger of the two satellites, Hellas-Sat 3/Inmarsat S EAN, will deploy first, followed by separation of GSAT 17 around 42 minutes after liftoff. 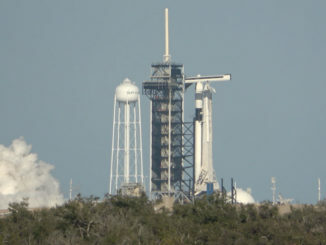 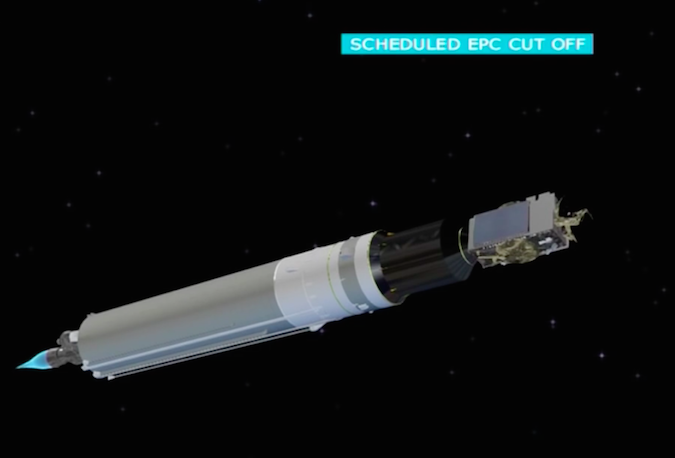 The rocket will target an orbit ranging from 155 miles (250 kilometers) to 22,236 miles (35,786 kilometers), with a tilt of 3 degrees to the equator. 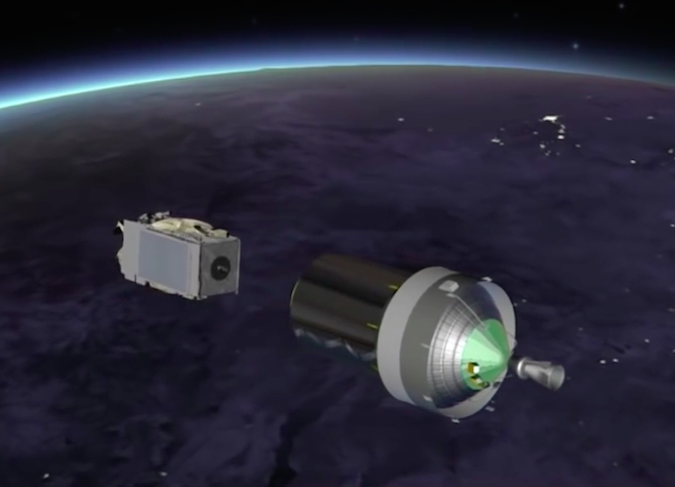 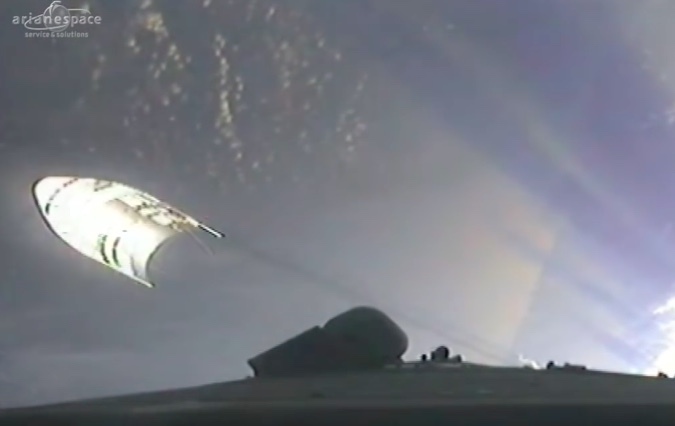 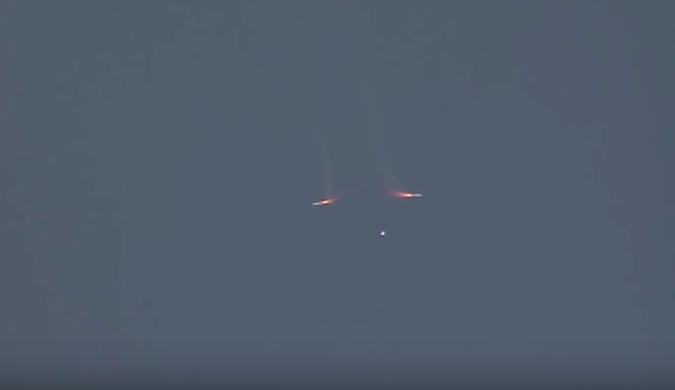 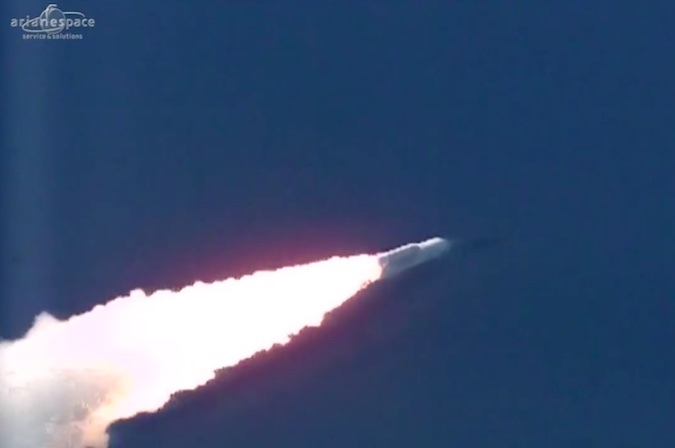 The Ariane 5’s upper stage HM7B engine ignites for a 15-minute, 54-second burn to place the Hellas-Sat 3/Inmarsat S EAN and GSAT 17 satellites into geostationary transfer orbit. 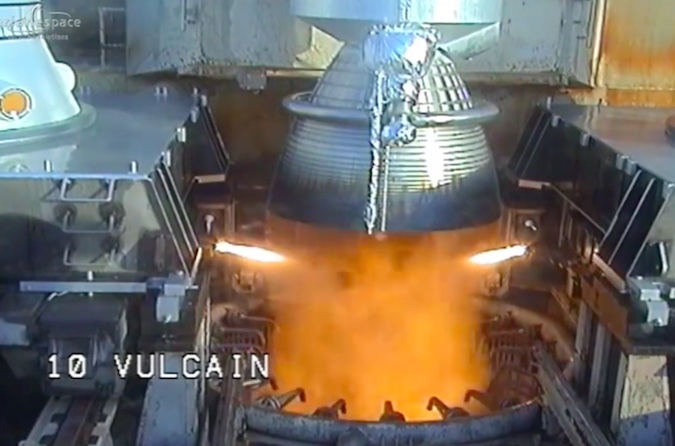 The HM7B engine burns liquid hydrogen and liquid oxygen, and generates more than 14,000 pounds of thrust. 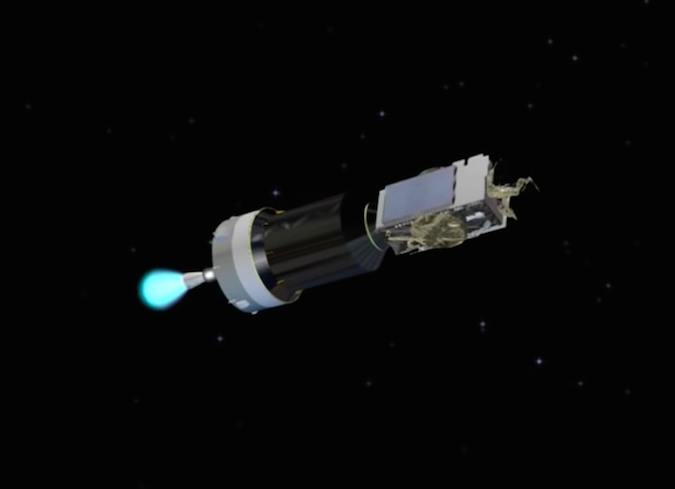 The HM7B engine shuts down after placing the Hellas-Sat 3/Inmarsat S EAN and GSAT 17 satellites into geostationary transfer orbit with a low point of 155 miles (250 kilometers), a high point of 22,236 miles (35,786 kilometers), and an inclination of 3 degrees to the equator. 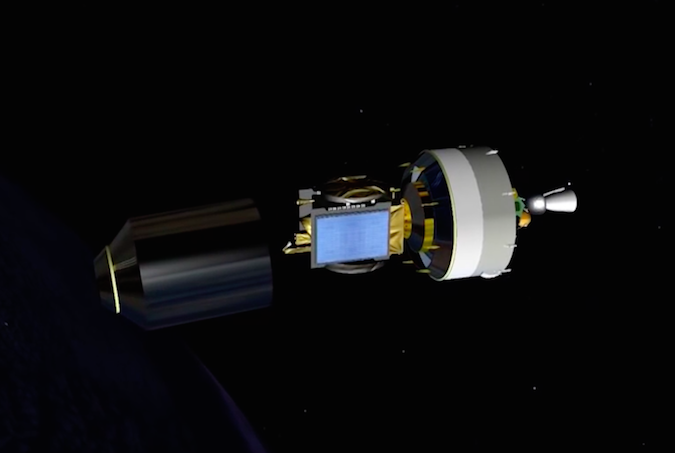 The Hellas-Sat 3/Inmarsat S EAN satellite, riding in the upper position on the Ariane 5’s dual-payload stack, deploys to begin an 17-year mission supporting the European Aviation Network for Inmarsat and broadcasting television and other services across Europe, Africa and the Middle East for Hellas-Sat. 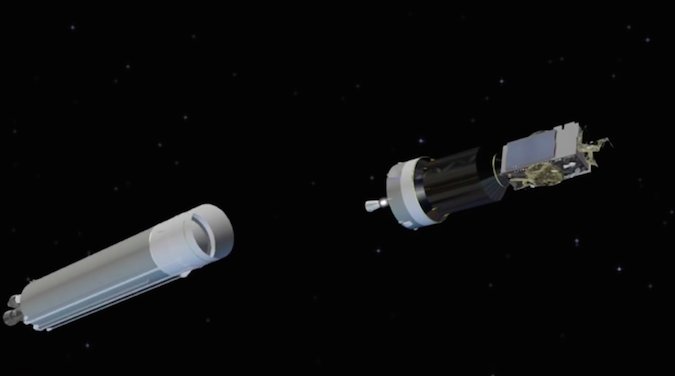 The Sylda 5 dual-payload adapter structure jettisons from the Ariane 5 upper stage, revealing the GSAT 17 spacecraft for deployment. 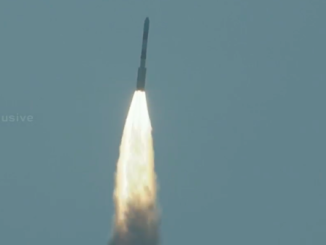 The GSAT 17 spacecraft is released from the Ariane 5 launcher to provide communications and data relay services over India.